Mysuru: The phrase “caught between the devil and the deep sea” can best explain the situation of Karnataka State Open University (KSOU) which on one hand is trying to get recognition from the University Grants Commission (UGC) and on the other has to compensate students for the loss of their academic years. As if the recognition tangle was not enough, the Kerala High Court yesterday ordered KSOU to pay Rs. 3 lakh per student for losing their academic year and for those students whose degrees have been derecognised. Hearing a petition filed by Brenet, a KSOU student from Kerala, and others, the Kerala HC has ordered the Open University to compensate the students as they are not at fault and have been victimised. The Court order also applies to those students who have not completed their courses as the UGC derecognised the courses. For such students, the Court has asked the KSOU to allow them to complete their courses in any of the colleges coming under its jurisdiction or pay them Rs. 3 lakh each as compensation. Students told the Court that they learnt about the derecognition in 2015 when a leading Malayalam daily carried the news. But it was too late because they had already registered from 2012 for technical courses at different centres of KSOU. The University gave an impression the courses still had UGC recognition and now the academic prospects of over 4.50 lakh students have been affected, they told the Court. Many students, who have taken up jobs at Indian and multi-national companies after completing technical courses from KSOU, have either lost their jobs as their degrees have no value now or are in dire straits. The Kerala HC order has come as a relief to students who can now hope to at least get back the fees paid to the KSOU and the money paid to its study centres. 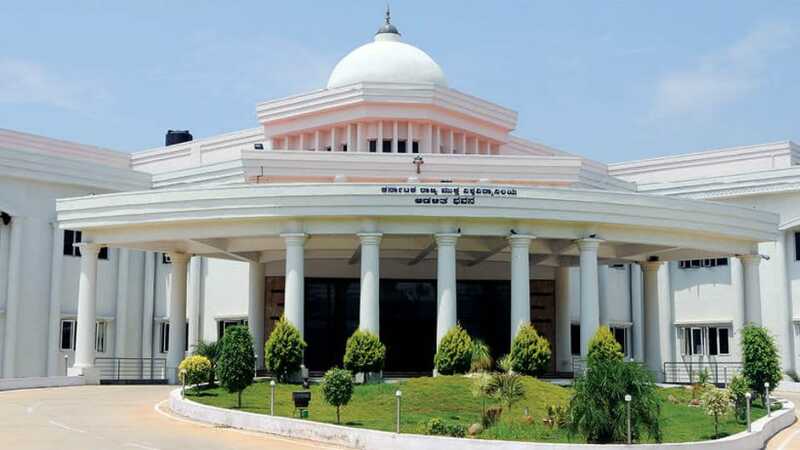 When Star of Mysore contacted KSOU Vice-Chancellor Prof. D. Shivalingaiah to seek his reaction on the Kerala HC order, he said that certain cases will not come under the purview of the High Courts and only Supreme Court has the powers to hear such cases. “The Kerala HC has not asked us to pay a fine but to compensate affected students. This will apply only to those Kerala students who have petitioned the HC and not all other students,” he said. In a similar case sometime back, the Supreme Court had asked an institution to pay back the fees for the loss of academic year. “Here, the Kerala students have not sought any compensation and they have only sought a chance to write the examination,” the VC said. Prof. Shivalingaiah said that the Kerala HC order and the UGC’s lack of response to the Karnataka High Court order (that had asked the UGC to grant recognition for non-technical courses by Dec. 26) will be placed before the KSOU Academic Council meeting on Jan. 9 and Board of Management meeting on Jan. 10. “The meeting will take a final call on the next step to be taken,” he said. Corrupt officials and politicans looted the money and sold the degrees and swindled the innocent students! Lots of undeserved candidates became graduates and the reputation is damaged! Now, the students have to be compensated by KSOU standards the public expense? All the accused should be in jail without bail for wake ast 10 years. Sad to read about the plight of KSOU students who are suffering for no faults of theirs. While it gives some comforts to read stories of High Courts giving some favourable judgments like awarding compensation or asking KSOU to give degrees, Consumer forums awarding compensation to those who have approached them, this does not begin to solve the problems of the suffering students. What genuine students need and deserve are degrees recognized just like the ones awarded by other universities. I was surprised to read the comments of Prof Shivalingaiah that he will place before the academic council and board of management all these issues. After these were the very institutions who were the mute spectators to the earlier policies which has landed students in the current plight. How can they help? In my view it is PM’s office which can bring all the concerned stake holders and find equitable solution as suggested below in a letter to PM few months back by Mysore Grahakara Parishat. Let me quote the relevant portion of the letter. “We urge you to establish a commission to find ways of helping these students. While there are some students who have stooped down to buy fake marks cards, there are several genuine students who are waiting to get their degree certificates. The commission should have a retired High Court or Supreme Court judge, a retired Vice Chancellor and an activist lawyer. The commission should submit their recommendations in one month which should be implemented in two months. These students have suffered enough and have been waiting for more than two to four years. That is why there is urgency to find solution to their problems. In case of those legitimate students who have been duped by KSOU, if for some technical reasons cannot be given degree certificates (for example students not meeting the requirements of apex boards like AICTE, MCI, and UGC in the case of professional and technical course) they should be at least compensated for the fees they have spent and time wasted”. Restoring the credibility is almost like restoring the virginity of on old prostitute! You can only advertise that KSOU degree is valuable, but it will not be useful in the market place other than for your name plate! So, these victories should pursue some other valid option! Also, all of them should join hands and send all the rougue politicians and administration who looted the money to jail or if possible lynch them on the streets! Our judiciary is too passive and protects the rights of the criminals, as we all saw in 2G scam.